A man who suffered a host of injuries – including a fracture to his spine – after falling nearly two stories has settled his lawsuit for $4.5 million. During a visit to his friend’s apartment two years ago, the victim was leaning against a balcony railing and actually felt the railing detach from the building. The 16-foot ensuing drop to the ground resulted in the victim suffering two broken bones in his heel, a burst fracture in his spine and a broken right wrist that he used to try to break his fall. The term “burst fracture” is one used by medical personnel to describe a spinal injury in which the vertebra actually breaks due to quick and severe compression. The most common causes of burst fractures to the spine include sudden traumas like automobile accidents and severe falls. The victim required surgery, which involved plates and screws to repair his heel and wrist and a three-vertebra fusion to repair his spine. A cross-country runner since high school, the victim, now 28, is severely limited when it comes to any type of high-impact sport. His attorney confirms that the victim will likely experience pain for the rest of his life because of the fall. The victim sued the apartment building’s property managers in his lawsuit, claiming they failed to inspect the defective balcony railing. Initially, the property managers denied the allegations, maintaining that the victim should have known that the railing was not intended to support his weight. After conceding the victim’s relatively thin frame – he weighed about 180 pounds at the time of the fall – the defendants later admitted to negligence. In fact, the victim’s lawyer said they were in possession of evidence revealing that maintenance crews merely painted over the railing’s rust about five or six years before the accident. Merely one day before jury selection was set to begin, both parties agreed to settle for the $4.5 million. For the defense, the settlement was most likely the lesser of two very poor potential outcomes. 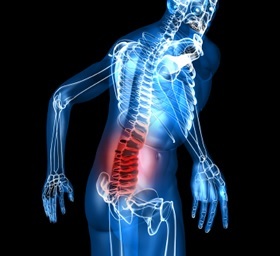 Have You Experienced a Spinal Injury? Let Barber & Associates Fight for Your Rights! Injuries to the spinal cord are not to be treated lightly. In fact, any type of blow to this particularly vulnerable part of bodies can cause permanent damage. Get in touch with us here at Barber & Associates by calling 800-478-5858 or via email.